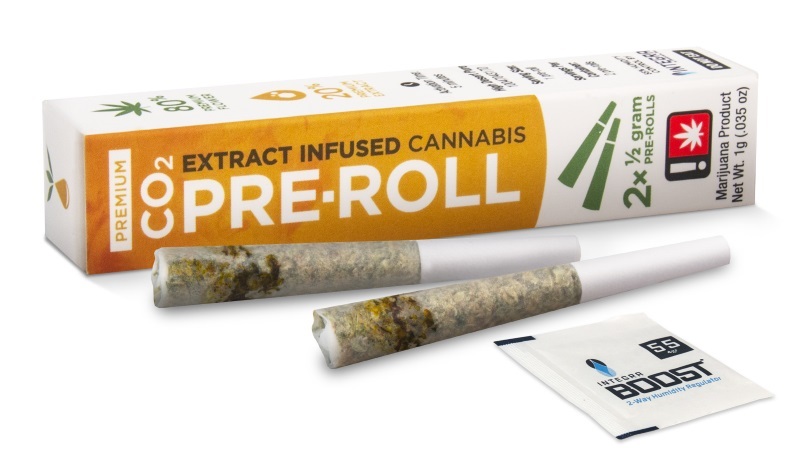 Our pre-rolls are filled with the best top shelf bud we can find paired with our premium CO2NCENTRATE™ for an 80% flower and 20% oil combination. Much like wine and food pairings, it takes patience and a lot of testing to come up with a complimentary combination. Each package contains two pre-rolls and a terpene smart humidity control to ensure a premium smoke. Each package contains two half gram pre-rolls, pairing our premium CO2NCENTRATE oil with top shelf flower. Will they dry out quickly? Each package contains a terpene-smart humidity control to ensure a premium smoke. So that’s a big ol’ no, take your time and enjoy!